Stephen Fry presents this intriguing programme charting the history of knowledge, how technology changes our relationship with it, and how we know what we know. Knowledge. The Google generation thinks it doesn’t need to carry much of it around in its head any more. Much has already been written about the internet changing the way we think and learn. But is knowledge less valuable than it used to be? This absorbing programme explores the concept of ‘knowledge’, drawing on a variety of diverse sources: quiz games, psychology, education, news, trivia shows, satellite navigation and comedy. Featuring cab drivers, philosophers, memory champions and members of the Brains Trust, it looks at topics including cultural relativism, language learning and prodigious feats of memory. Plus, it attempts to answer such questions as: what constitutes useful knowledge in an era when we can find anything very quickly? ; why has 'useless knowledge' gained in currency? ; and, if Typhoo put the tea in Britain, should we take the piss out of epistemology? Packed with interviews, debates and a feast of archive clips from the past three decades, this is an enlightening and entertaining overview of the world of knowledge, both general and specific. ©2011 Stephen Fry (P)2014 Audible, Inc.
what is knowledge and who gets to decide the facts? these are questions which need answers. 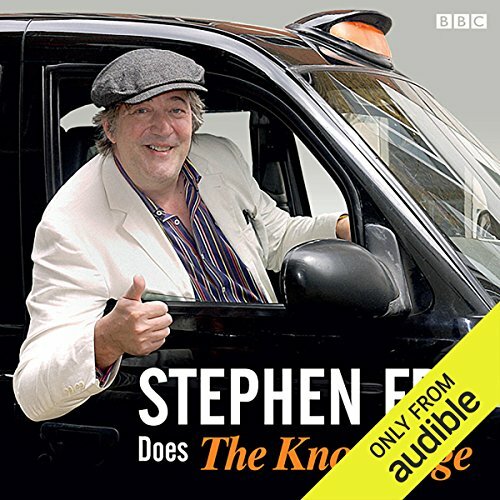 Stephen Fry does a great job of narration as usual. His ability to make the some what soso sound bloody exciting. I enjoyed the book more because of the way Stephen read it rather than the subject itself. Honestly, if Stephen Fry read aloud the dictionary, I think I'd buy it. This was informative and witty, while the tangents he heads of on would put Billy Connolly to shame. Fry at his best.